We use Centurion Digital keypads which have proven to be weatherproof, reliable and offer a large range of program features. Installing a Centurion Digital keypad to your gate automation system will allow you and your family and friends to operate your gates with a personal pin number, with you having complete control over who has access to your property. 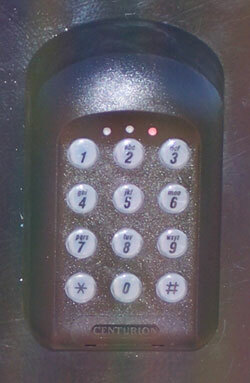 Pin numbers can be added or deleted at your command.